Get a great laptop this Christmas! There's no doubt that one of the most functional and affordable tech gifts this Christmas season is a netbook. 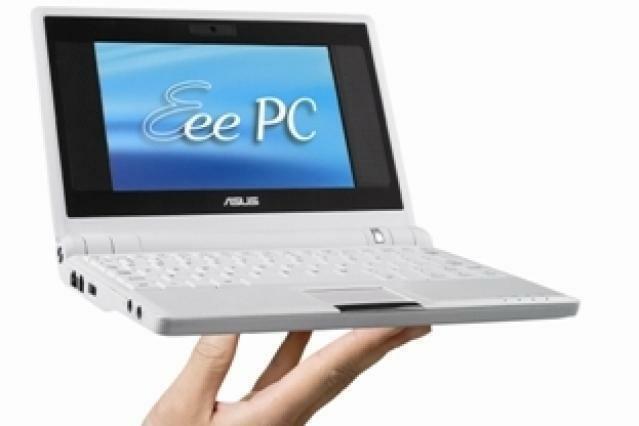 This is a laptop category that was virtually created by ASUS and its Eee PC, and since then almost every laptop vendor has chimed in with its own variation. The original Eee PC 701 4G, which runs on Linux or Windows XP, might be a little too small for some, but it would still make a great gift for kids or teenagers. However, some of the bigger netbooks, such as the ASUS Eee PC 1000H, HP's 2133 Mini-Note PC (FH441PA), MSI's Wind U100 and Lenovo's IdeaPad S10, are better choices for bigger kids and adults. Pricing for these netbooks starts at around $430 for the HP and MSI, and goes up to around $700 for the latest Lenovo. It's funny that only a year ago people were lamenting the fact that ultraportable laptops were so desirable yet so expensive. It seems that the growth in the netbook market has paved the way for vendors to mass produce more small laptops — particularly in the 10-13in screen size range — and offer them for a more affordable price. Products like HP's 12.1in, 1.8kg Compaq 2230s (FW116PA) and Toshiba's 13.3in, 2.1kg Satellite U400 / H00 (PSU44A-00H00C) are perfect examples of light and functional laptops that cost much less than $2000. They are definitely great stocking-stuffers for students, travellers and pretty much anyone who doesn't want to carry around a huge, bulky device. For something smaller, yet equally functional and priced under $1500, you can't beat the ASUS N10J-HV009G. It's not the most powerful laptop on the market, as it's based on an Intel Atom CPU — the same CPU that drives most netbooks — but it has all the connectivity you will ever need (including an HDMI port), has a 10.2in screen, weighs only 1.6kg and is very easy to use. However, the best ultraportables on the market — that is, the ones with the most processing power and killer features — are still the ones that will set you back more than $3000. The lightest laptop on the market is Toshiba's 12.1in QuickBooks Premier Edition 2009, which weighs only 1.1kg without its power supply; yet it still has a built-in DVD burner! It really is light as a feather compared to any other laptop on the market, and it's ideal for the travelling executive. For the absolute best laptop in the world when it comes to weight, size, features and build quality, you can't go past Lenovo's ThinkPad X301. When you see this thing in person it's hard not to get emotional, as it's extremely well engineered. What you get is a laptop with a 13.3in screen that weighs only 1.4kg without its power supply. It is just 2.3cm thick, yet it also has a built in DVD burner! You get a boatload of connectivity features despite its thin frame, as well as the latest in low voltage CPU and memory technology; and not only that, Lenovo has built in two pointing options, so you can either use the touchpad or the TrackPoint device. It costs $3722, but as they say in the classics, you gotta pay for the best.